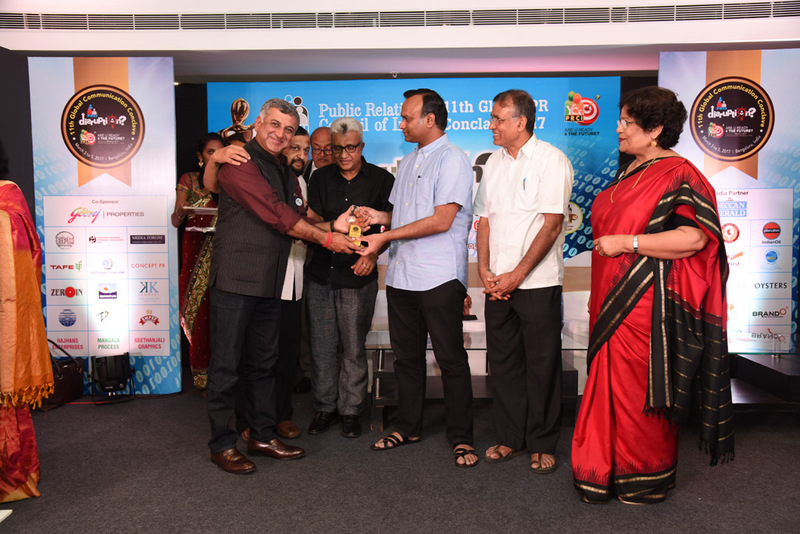 Public Relations Council of India (PRCI), the oldest and most well established body representing practicing Public Relations professionals in India inducted Ashwani Singla, into its Hall of Fame at its 11th Global Conclave held in Bangalore, Karnataka, India, from March 3-5th2017. Ashwani is the Founding Managing Partner of Astrum, India’s only specialist science based reputation management advisory, former Asia MD of Penn Schoen Berland & CEO of Genesis Burson-Marsteller. Ashwani Singla is the Founding Managing Partner of Astrum (astrum.in), India’s first specialist reputation management advisory that uses science to understand and shape public opinion. In his two decades of experience in industry, he has donned the role of a trusted advisor and strategist for both the C-Suite & Political leaders. He was the campaign strategist for the campaign committee of the Bharatiya Janata Party (BJP) during the 2014 General Election in India, and continues to work closely with the leadership on the ongoing election strategies. He has featured in the Campaign India Magazine’s ‘A list’ and Agency FAQ’s listings of the most influential communication professionals in India. Public Relations Council of India (PRCI) is a non-political and not-for-profit organisation of professionals in the field of public relations, communications, advertising, education and many other allied services, providing industry professionals an opportunity to serve their community by encouraging high ethical standards in their respective areas of work and will be the first forum to offer accreditation to professionals in the stream. PRCI also has a separate cell for social action to look at developmental and social issues. PRCI today has emerged today in the country as one of the foremost platforms for Public Relations professionals for global exchange of ideas in many areas of public relations such as corporate communications, advertising, reputation management and academics. The organization provides a forum where creative minds often come together, upholding the challenges and values of professionalism in PR. PRCI, the registered body of PR professionals which was born just about four years ago, is proud to have over 18 active chapters spread across India and installation of 10 more chapters are on the anvil, with plans to go international in the very near future.